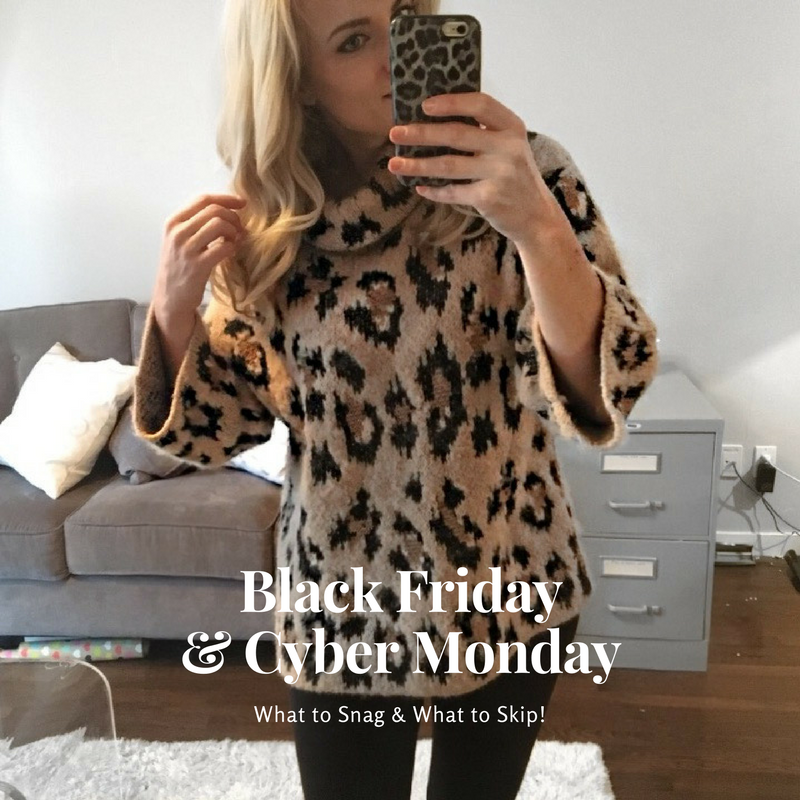 With Black Friday and Cyber Monday being some of the biggest shopping days of the year, I wanted to create a post talking not just about what retailers have sales (though I do have a round-up of retailers and what their sales/discounts are); but to talk about what items – from a fashion perspective – you should be buying during Black Friday / Cyber Monday and what items are actually not worth your hard earned money because the sales are not as good as you might think! Of course, I also have rounded up my personal favorites in each of the categories worth spending money on during Black Friday week. Some of the deals are insane (think $500 shoes on sale for $80, and a Tory Burch bag for under $100!) and I can’t wait to make my own purchases this weekend when I have some downtime from work! Similar to boots, sweaters are a perfect item to buy during cyber week as the latest season’s trends and top items are heavily discounted, but really we’re just starting the season where you are going to want cozy sweaters! I found a number of ones I love that are also work appropriate so huge win there! You can see my favorites below. Statistically, winter coats are 20-30% less during boxing week sales than they are now. So, unless you live in a climate where you really need a winter coat before the end of December, skip the winter coat sales and wait until boxing week! Same as above! Winter accessories are usually a bit cheaper during boxing week -though selection doesn’t seem to be as good as black friday. I’d still recommend waiting on these items though! Beauty products don’t often go on sale (as every makeup lover sadly knows!) and sadly the sales are not that great this Black Friday. I would spend your money on other items where you get a way better deal! "#Girl Boss | Interview with Molly – Podcaster & Blogger"